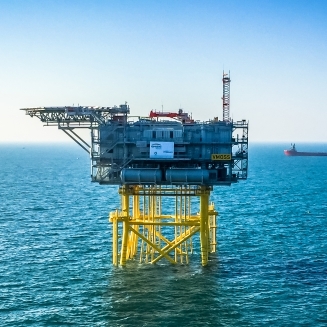 Smulders, along with other consortium partners Engie Fabricom and Avantha Group CG, was responsible for the design, production, transportation and installation of a topside and jacket for the Veja Mate Offshore Wind Farm. The 67 wind turbines of 6MW will generate electricity for more than 400.000 households. 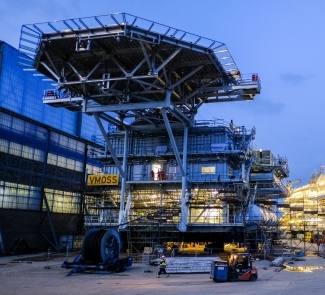 The production of the steel construction started in May 2015 at Iemants, Willems and Spomasz. 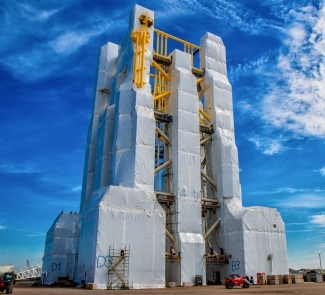 The assembly of the 60m high jacket started in October 2015 on our Flushing yard. Sail-away took place in August 2016.